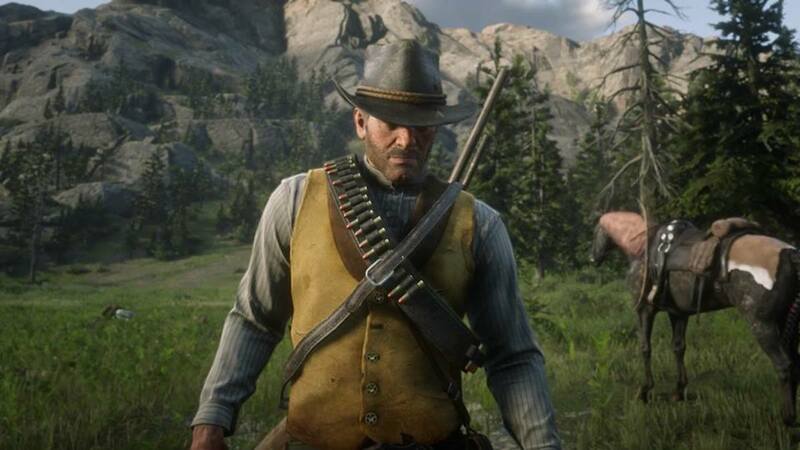 Red Dead Redemption 2 has numerous weapons that you can equip Arthur Morgan with. 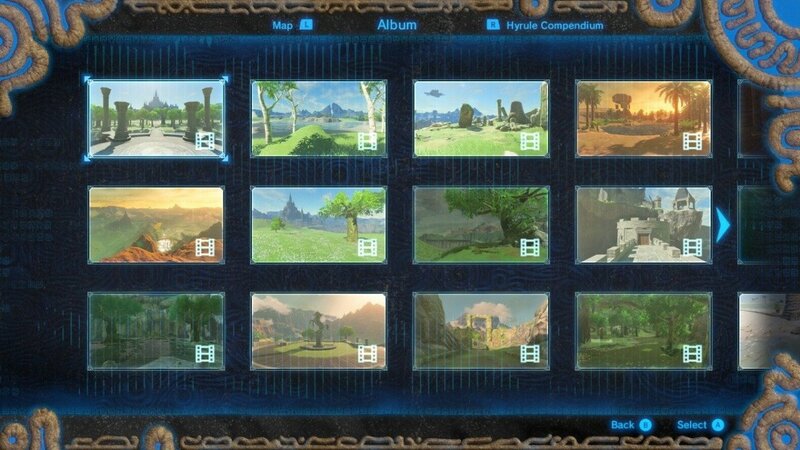 Some of the weapons can be unlocked when playing the main missions. Other weapons can be bought from a gunsmith, found in the world by exploring, or may already be unlocked if you purchased the special edition. 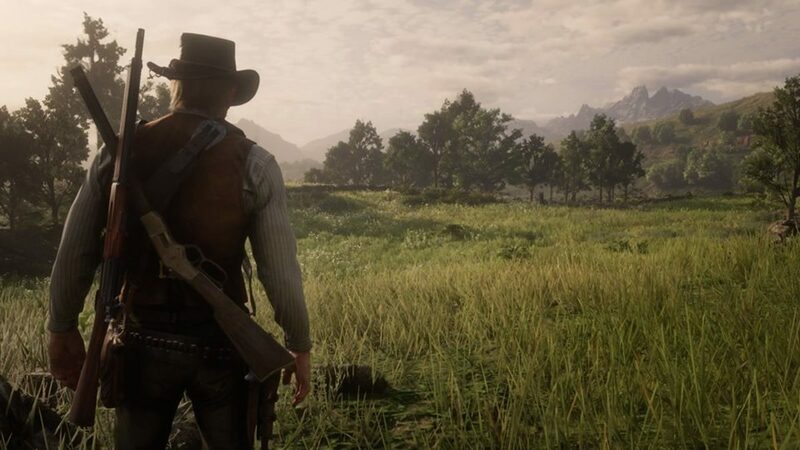 There are over 50 weapons in Red Dead Redemption 2. 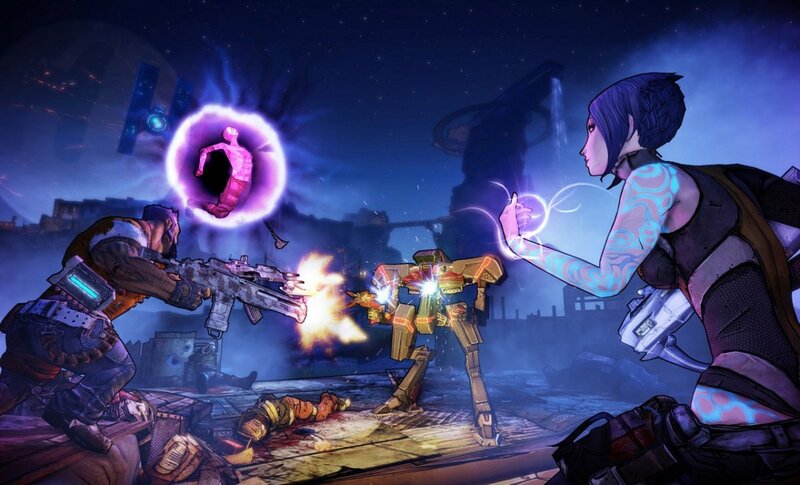 The video game includes revolvers, pistols, lever actions, bolt action, sniper rifles, and different types of shotguns. You'll come across gatling guns, but those are mounted weapons that obviously cannot be carried. 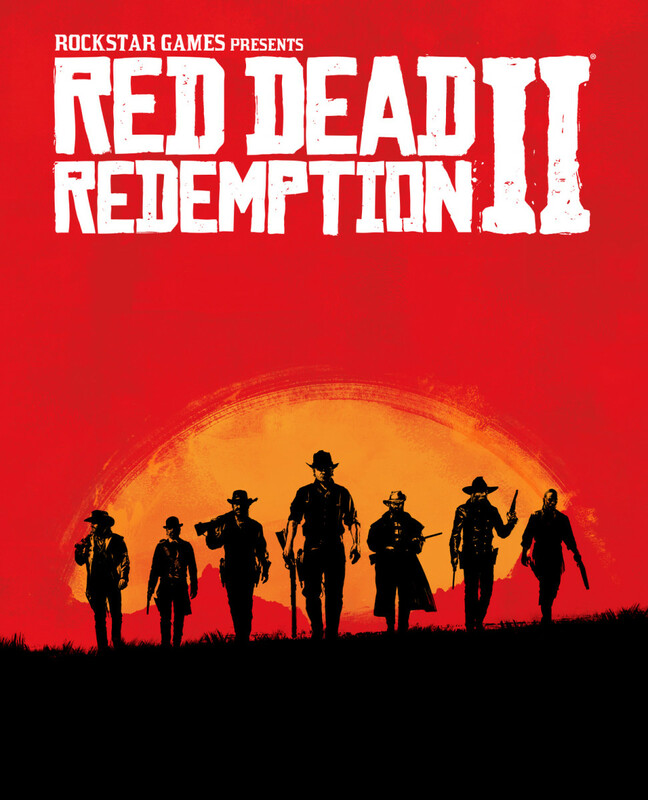 Because the game takes place in the year 1899, the end of the Wild West, you won't find machine guns or other modern weaponry (like in Grand Theft auto). Rockstar stays true to lore for the most part. In order for weapons to work their best in Red Dead Redemption 2, they must be cleaned frequently. Clean your weapons with gun oil. Gun oil can be bought at local gunsmiths in the game or found in the world. You might find gun oil by looting dead bodies. Go into your inventory and view your weapon. Press the X or square button to clean the gun. Red statistics indicate that the weapon needs cleaning. A dirty gun will do less damage and won't be as accurate. This article will provide a list of some of the best weapons in Red Dead Redemption 2. The list will be both subjective and objective. It may be a matter of personal preference, but weapons do have statistics. Additionally, a few tips regarding combat will be explained. The Lancaster repeater can be obtained early on in Red Dead Redemption 2. You'll get it during chapter 2. The weapon is relatively powerful and can take out enemies from about medium range. It's a lever action rifle that works well for Dead Eye, as the magazine size holds many bullets. If you like shooting enemies from horseback, the Lancaster Repeater works well, but may not be the best choice for close range, particularly when many enemies are present. The Carcano Rifle is obtained after the "Goodbye Dear Friend" mission in chapter 6. It basically serves as a sniper rifle. It has a higher fire rate, but does not pack the same strength as the Rolling Block Rifle. The Rolling Block Rifle can be acquired earlier on, though. Both weapons are good for shooting targets at extremely far range, as the scopes help tremendously. Dead Eye works great with each weapon. For hunting purposes, the two sniper rifles can be useful, as the guns allow you to recon areas and remain stealthy. Animals at great distances can be easily eliminated with either gun. The Springfield Rifle is good, but the Bolt Action Rifle has superior reload and accuracy with similar damage output. The weapon is not good at close range or with Dead Eye, but it's fantastic for defeating enemies from medium to long range, especially when you're behind cover. Use it when you've got a good position behind cover and need to pick off enemies from a moderate distance. The Volcanic Pistol has a lower fire rate than the Double Action Revolvers, but it's very powerful. It's ideal for close range and horseback combat. The weapon can be dual wielded for more effectiveness. If you got the special edition of Red Dead Redemption 2, you'll get the gun for free. 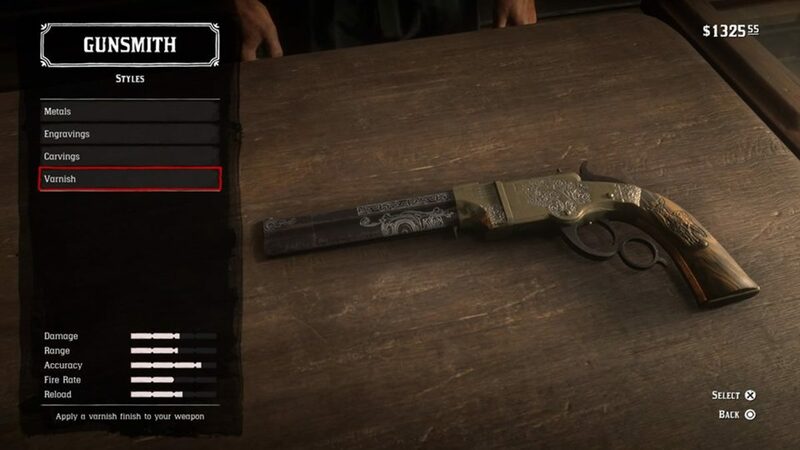 If you're looking for an exceptionally accurate gun in Red Dead Redemption 2, use the Schofield Revolver. While it may not be good for long distance, it's good for shooting from horseback or when using with Dead Eye to target multiple enemies. You can obtain it from the gunsmith during chapter 2. You might be able to find it in the world as well. For situations when you're outnumbered or surrounded, the Semi-Automatic Shotgun is an excellent choice. The gun is superior to the double barrels, as it has more shots that can be fired before needing to be reloaded. The damage output is extremely high, so long you're not at a distance. Besides cleaning your guns, upgrading them is fundamental if you want to increase their stats. It is true that statistics vary, but they can be improved to an extent by paying a gunsmith. You can change the barrel, sights, stock, wrap, or sniper scope. The upgrades will improve a stat like damage or accuracy etc. Engravings can be placed on weapons by paying gunsmiths with cash, but they don't increase the stats. As Snake from Metal Gear Solid once said: "engravings give you no tactical advantage whatsoever, unless you were planning to auction it off as a collectors item." The engravings are merely for aesthetics in Red Dead Redemption 2. Slowing down is possible with Dead Eye when you press R3 while aiming. Arthur Morgan has a huge advantage when using slow motion. When you're severely outnumbered, need an accurate shot, or simply want to feel like a cool Wild West gunslinger; use Dead Eye. 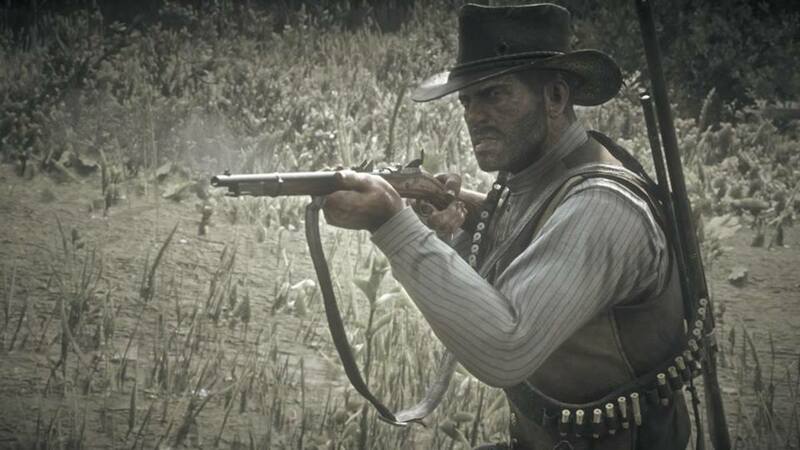 Dead Eye can only be used for a limited period of time. Upgrading it increases the duration. 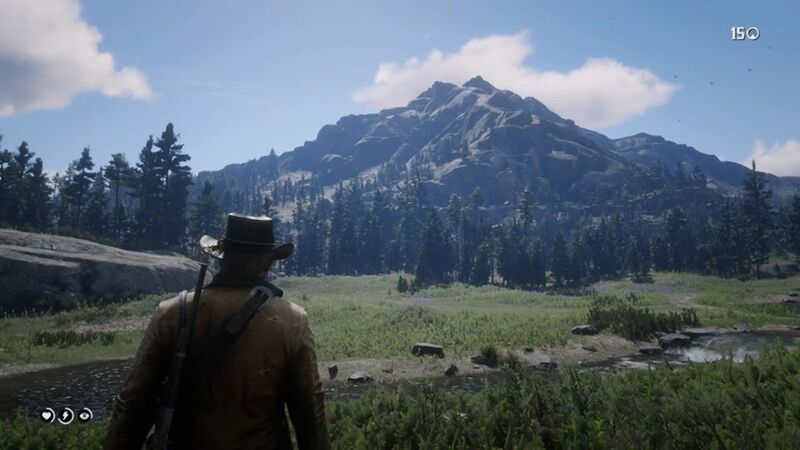 Additionally, one of the early upgrades allows Arthur Morgan to mark multiple targets. Marking targets with Dead Eye is an essential strategy for hunting and fighting enemies. 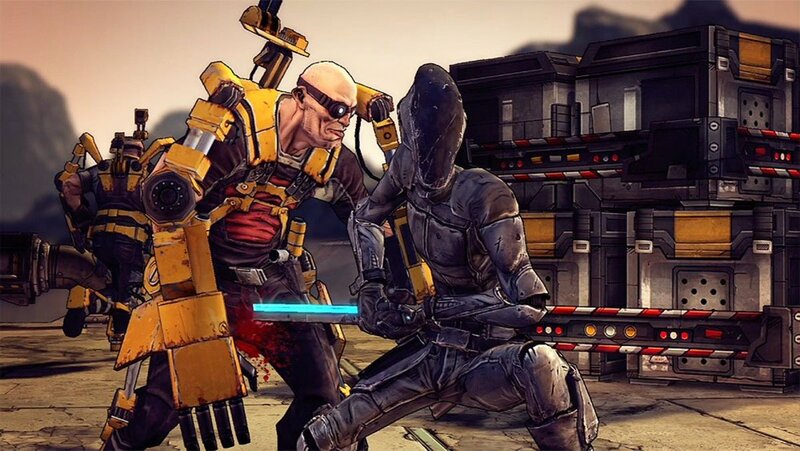 Chewing tobacco and smoking cigarettes will replenish the meter and Dead Eye core. Sleeping at Dutch's camp or setting up a camp anywhere will replenish it as well. While it's possible to defeat enemies out in the open in Red Dead Redemption 2, taking cover is vital in many situations, particularly when you have less heath and stamina in the beginning of the game. Take cover behind objects that fully cover Arthur Morgan's entire body. Skinny trees or smaller rocks won't give you full cover. Also, some types of cover can be destroyed when enemies shoot near your position. Cover will allow you remain stealthy and out of sight. It's possible to stealth kill enemies when you're behind them. 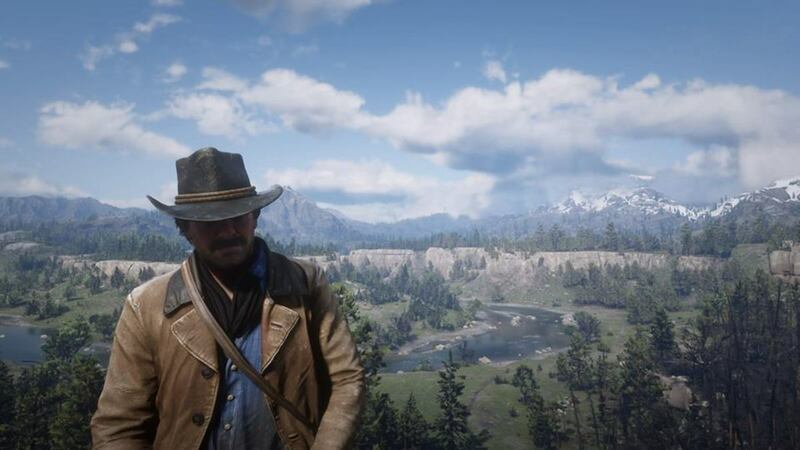 Arthur Morgan can carry two sidearms and two primary weapons. Sidearms are weapons like revolvers, pistols, or a sawed off shotgun. They can be dual wielded. Primary weapons are guns like the Springfield Rifle or Lancaster Repeater. 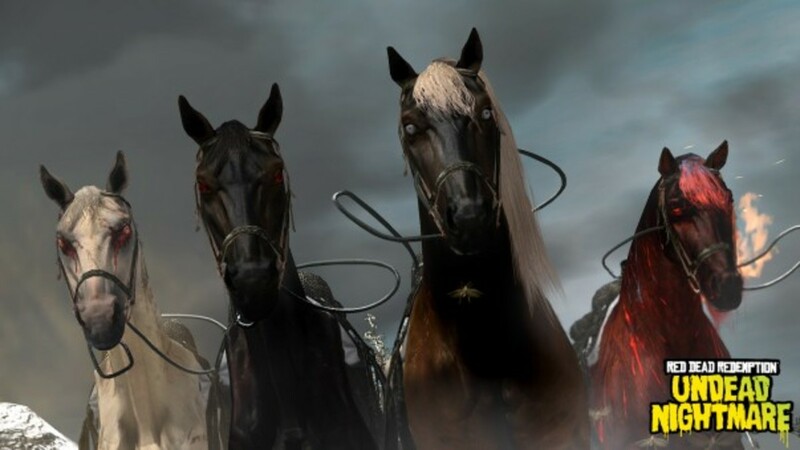 Your horse can carry many guns. Make sure to take one or two primary weapons with you when you go on foot. It can be dangerous to travel on foot with just your revolver, especially when bounty hunters pursue you. You can fire any weapon on a horse. Dead Eye can be used while you're on horseback. When enemies are attacking from behind, you can press R3 to turn around and shoot enemies. Be sure to carry a Horse Revival Kit because enemies can shoot your horse when you're riding. Horses can permanently die in Red Dead Redemption 2. 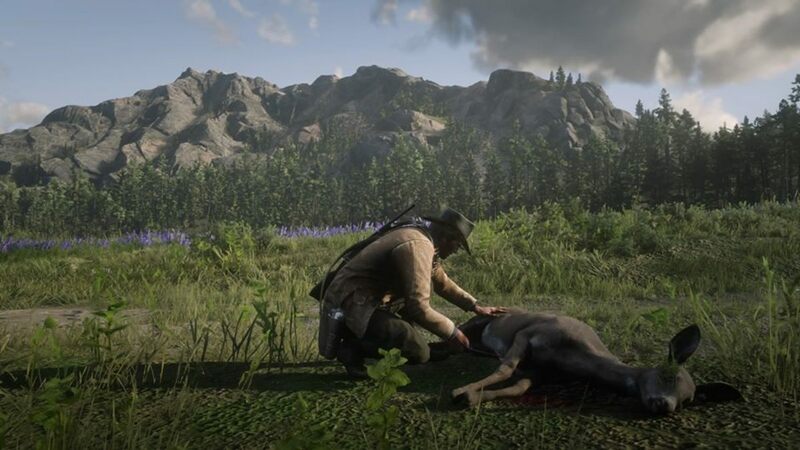 When you're horse is critically injured, you're given the option to kill it or use a Horse Revival Kit.